L200 WITH IMPRESSIVE BARBARIAN SPECIFICATION, finished in silver with colour matched Truckman top with privacy side windows. The Barbarian has an impressive specification with 'Barbarian@ embossed black leather upholstery, climate control, satellite navigation, Bluetooth phone preparation 4 x electric windows information display, Traction control electric power fold mirrors, cruise control, CD and radio, SD and auxiliary connections, alloy wheels. the long wheel base L200 is powered by a superb 2.5 diesel engine with a manual gearbox and 4 wd high and low options and 2 wd for normal road use. The system makes the L200 an excellent off road and tow vehicle. An excellent truck with car like driving capability very clean obviously not used for a working vehicle merely private family 'lifestyle' use. 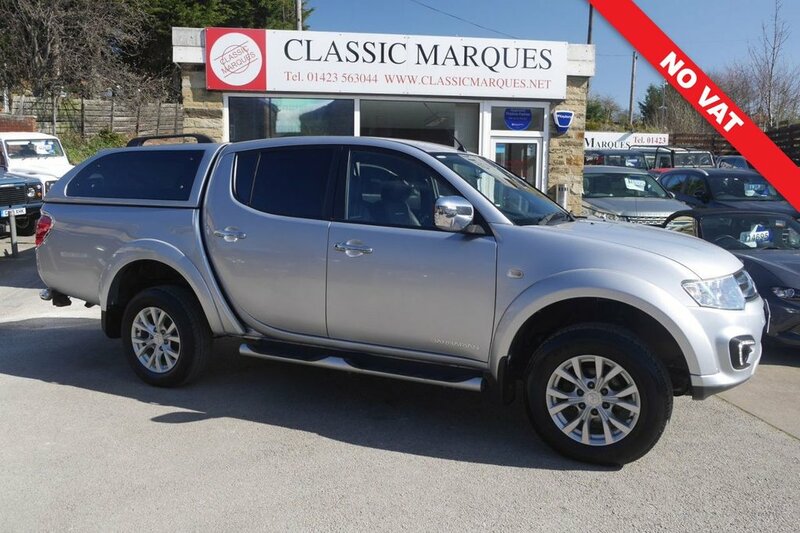 The L200 has the benefit of a full service history, originally dealer owned and one private owner since.